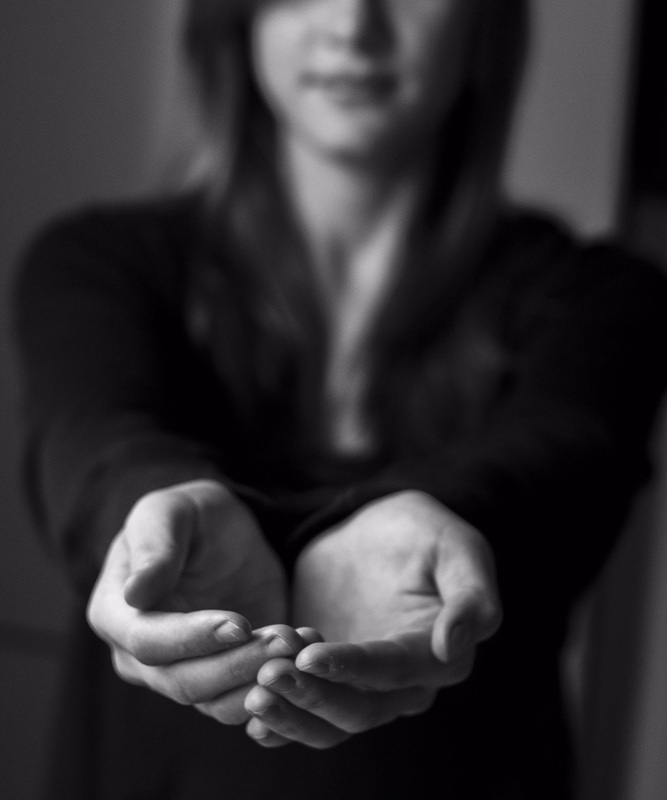 In yesterday's blog, I wrote about receiving generosity. I summed it up by saying that generosity is more than just a decision; it's a lifestyle, especially when we approach it without any fear, without any thoughts of unworthiness, and without any reluctance. It is a spiritual quality. Most people want to be generous. It's in our nature. A truly giving person does so out of desire, not out of duty. Gifts of duty are ego-based and are not of the heart; they are conditional and subject to entitlement. The generous person never expects anything in return; they give because they believe in investing in someone's happiness. Set the intention to be generous. Make the conscious choice to be generous on a daily basis. Start small. One does not have to be wealthy to be generous. And one does not always have to give money to be generous. You can be generous by giving things you can make. You can also volunteer your time, your compassion, or your expertise in a certain field. Notice the things you could do to make someone else's life a little easier and happier. Develop an awareness of what other's may need. Think of specific ways in which you can help the people you know, and then do them without expectation. Be sure to tell them to give forward, not back. Let your generosity branch out to strangers. Hold open that door at the store. Pay the toll for the person behind you. Compliment someone you don't know. Serve a cause that is greater than your own life. You can help fund it, or you can offer your time and energy. Let your gratitude lead to generosity. Be grateful for the things you have. As you experience generosity in your own life, you'll find yourself becoming more generous to others. Being generous is not difficult. Practicing generosity is an intentional, conscious decision we make in our lives, not out of duty, but out of love. The generous person is one who believes in the unlimited abundance of the Universe, finds success in helping others succeed, and believes changing even one life is worthwhile. The generous person gives because s/he is a reflection of the Universe. As we grow in generosity, so does the Universe as it expands through us. All it wants to do is give because all it can do is give. Let's give our thanks for such love, and let's start giving. What will you do to foster generosity? Please share your comments below; they are always welcome. You are right, jyothisdayout. It doesn't take much to be kind and generous. It can start with a smile or a kind word. I believe we are all hard-wired to give because of the gift of life we've been given. Thank you so much for commenting. I appreciate your insights. Agree penny, generosity is when we give out of love and not duty. If you are generous to others, that would be passed on and it would touch you too. Thank you, anditooblog. When we do it out of duty, our heart isn't always into it, but when we do it out of love, it comes from spirit and love. What a wonderful gift to pass on to others. Thanks so much for commenting. Indeed, Mina. It's always about love. Love is the energy and the engine by which we give. Thank you. True generosity is when you can take joy in making someone happy. And that is a return far in excess of anything else. Penny this is a very insightful post. Haw truly you have said that it is not necessary to be rich to become generous.I loved reading it. Usha Menon, I think a common misconception about giving is that one has to be wealthy. This tends to stop people from giving at times. But giving can be done on a small scale, too. Even the smallest gesture can make someone's day, and it could be worth more than money. Thanks for stopping by and commenting. That's a lovely set of ways to be generous. Start small definitely is the mantra. It sure is, rekspoursout. Start small is a good mantra. Even the smallest act of giving, whether a smile or a hug, can make a big difference in someone's life. We must train ourselves to look for such opportunities. This is what I call becoming spiritual literate. Thank you for commenting. I would simply start by taking baby steps to make a difference in someone's life. I would give all the help and care that is needed. I loved all the points you've mentioned in this enriching post. Starting small is key, dianamusings. When we see what something little can do to make a difference in someone's life, we want to experience more of it, and help as many people as we can. It's a beautiful thing. Thank you for stopping by. I appreciate your comments. Thank you, Ranveer vishal. We don't need to be millionaires to make a difference in someone's life. All we need is a willing heart and lots of love for our brethren. Peace and abundant blessings to you! I love it all, especially this line: "The generous person is one who believes in the unlimited abundance of the Universe, finds success in helping others succeed, and believes changing even one life is worthwhile." You know, I am so very fortunate and blessed (I'm tearing up as I type this out of gratitude) because I was raised with this mentality. Not because we had money or a lot of material things, on the contrary, we were actually poor...but I never knew it until I was much older and entering college. I was very fortunate and very blessed because long before I ever knew the names of Universal Laws or even that they existed at all, I was taught all of these lessons. But really, I was not taught them words...this is just how my whole family lived. When you live as you have stated above, you never feel unloved, you always feel blessed, you are never alone, you always have what you need, you are always at peace and life is a joy. Thank you so much for another lovely post and a walk down memory lane for me. Kathy, we are very similar in how we were raised. I was raised with the same mentality/beliefs and for that I am very thankful. We didn't have a lot growing up and my parents did all that they could to provide food and shelter. And we were always thankful for the small things because they were the big things. I never saw us as poor, even though we were by society's standards...I always felt we were blessed to have what we had. And like you, I never knew the names of the Universal laws, but I somehow innately knew them. Thank you so much for sharing your insights. You are truly a kindred spirit :) Much love, peace, and abundant blessings to you! That's such an enriching write up. I loved all the points. Its the small deed of kindness that make a large difference to lives-ours and theirs. Beautifully penned and I am so glad I got a chance to cross paths with you thorough this Festival of Words. Indeed, Rainbow Hues, it's the small things that make the big differences. I'm glad we were able to cross paths as well. Thank you for stopping by and commenting. I just realized we both are trolling on the same theme with regards to his write up! Great minds think alike, Ruchira! I love when the Universe works this way! Blessings to you! Wonderful points Penny. So true that generosity is so much more than just parting with some dollars. A very feel good post. Generosity comes in so many forms, Suzy. I love being creative when it comes to generosity. Thanks for stopping by and commenting. I have seen people participating in social service just to be tagged Do-gooders.If you are not helping someone with full heart,then its no worth. Thank you for sharing.Wonderful post penny!! I know what you mean, anuymous dev. Some people do it because they want to impress others. That is operating from the ego and not the heart. Thanks for stopping by and commenting.